Run For Freedom 5K is a non government oragnisation which organises the event of annual Run For Freedom. We’ve been established in 2009 and are actively participating in the healthy and humanitarian character of this event and are doing our best to invest our time and ideas into something good. Kids also run for freedom! Apply your kid for this years race now. That’s why we came to the idea of this race. First year, as you already probably know, we started with the 5k race only. But, more and more people came to us telling how they are not able to run the complete race, but still want to take part in the event. So, instead of organising some shorter runs, we’ve decided on organising the 2 miles walk as well, so all the people who can’t run the race can still get their place at the event. Last year was the first year we had the race for kids and it was amazing. Amazing enough we’ve decided to put it up this year as well. Our kids race has no age limit. 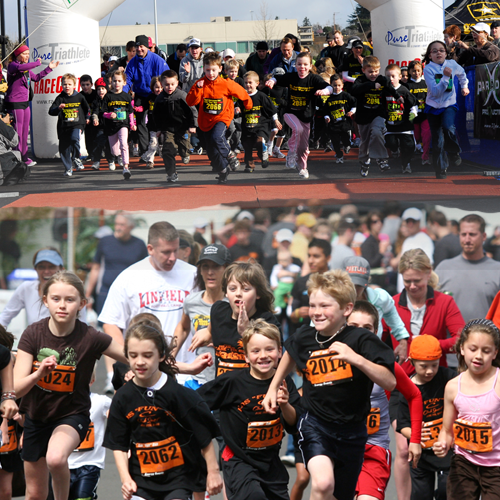 If your kid is ble to run and is younger than 18 years, it’s more than welcome to take part. Of course, we will need your permission for that. All the races and event start and finish at the very same place in the Mattel Park (you can’t miss it… It’s right by the entrance). That is also the place we will have the closing ceremony with picnic and concerts. You are all invited to the event – it’s free and open to everyone of interest. We still don’t have the excact start line time, but we should soon. We will inform you vaa this web page and will get to you on the email address or phone number you provided us with when applying for the race. Keep visiting the page regularly not to miss the inrmation you need. Thanks for reading and see you soon on the start line!